Plumbers Gold Coast – At MJ Walker, we offer Gold Coast residents a reliable and highly-skilled plumbing services. Our years of experience make us your first point of call for all your plumbing repair and installation needs. We pride ourselves in providing quality plumbing services at a reasonable price. If your hot water system has stopped working, your tap won’t stop dripping, your toilet or drains are blocked, you want to update your bathrooms or kitchen, or your plumbing is just a nightmare, we have you covered! MJ Walker Plumbing will take the stress and hassle out of all of your plumbing needs. MJ Walker Plumbing provides residential and maintenance plumbing services, gas services and plumbing repairs to all areas of the Gold Coast, including Coomera and Coomera Waters. We will diagnose and repair any issues you have, as well as provide a quote for any planned plumbing projects you may have. We are a family owned and operated business, with over 20 years’ experience in the service industry on the Gold Coast. From those everyday leaks to big plumbing nightmares, we are dedicated to helping all of our clients (big and small) stay safe and dry. We understand how busy life can be, and we value your time as much as you do. Our licensed plumbers are experienced in all types of plumbing services and are focused on getting the job done right. We pride ourselves on being reliable, which is why our customers keep coming back. You will never be left waiting around! We will turn up on time or give you a courtesy call if we are running late. We are a friendly service that always cleans up afterwards. Our pricing is always upfront and honest. We offer a 12-month warranty on all of our workmanship. We have over 20 years’ experience in the plumbing, drainage and gas industries. We are one of the Gold Coast’s leading plumbing experts. Whatever your Gold Coast plumbing needs are, you can trust MJ Walker Plumbing to get the job done! We pride ourselves in providing a quality service at a reasonable price. Our founder Mark J Walker and his team aim to change people’s opinions of Gold Coast tradespeople and tradespeople in general. Mark started the business after hearing too many horror stories about people being overcharged and plumbers delivering faulty workmanship at over inflated prices. Do the right job, at the right price. Clean up after ourselves, and respect your home. Always give you the right information. If you are in need of a plumbing professional – for an at home plumbing emergency, remodelling project or more – MJ Walker have you covered! We have the experienced plumbing professionals you need to resolve all of your residential or maintenance plumbing needs, no matter what they may be. "Mark, I would like to thank you for being our main plumber for our office, as a real estate with over 250 properties we need someone reliable and someone whom can handle the workload we give them. We have been through over 10 plumbers before we found you and no one compares! When we send u a work order for a job we receive notification of when it is done which is normally within 24 hours and an immediate invoice which is great to reconcile our accounts on time. I have never had a complaint from a tenant or landlord about your work which is great news for me as I can know the job had been done correctly with no need for me to go out and check your work. Once again thanks for being our plumber, I look forward to a long business relationship with you." "I have worked with Mark in property management for a little over 6 months and in this time I have found the service to be outstanding! M.J.Walker Plumbing is reliable, trustworthy, and very efficient. I found Mark is always looking out for the landlord and will advise when it’s better to replace it now before calling him every week to go back out. I’ve phoned Mark on a number of cases, explained the problem and he's always been able to help. His work is always to a very high standard while managing to keep costs low and will never leave a mess! I would strongly recommend using M.J.Walker Plumbing best plumber I’ve worked with in the business & never had a problem!" "Time and time again Mark and M.J.Walker Plumbing make my job just that little bit easier. I send them a maintenance request, they contact the tenant, the repairs are carried out, and we are notified of its completion. No fuss. The work is of a high standard and the price is reasonable. All this helps keep our tenants and property owners happy. Mark is always willing to help with advice and honest opinions on what work is required. I would no doubt recommend their service to anyone. "I have been a property Manager for 6 years and in my professional opinion M J Walker Plumbing has been the easiest Plumber to deal with and arrange repairs in a long time. He is always prompt & highly reliable he is a great communicator and always explains everything in details when required to. I would refer him to anyone looking for a Plumber"
"Mark has been helping us with plumbing repairs for around 5 years now. He was referred to us by a friend and we have welcomed him back to do various jobs numerous times. Always on time, polite and tidy and completes the job efficiently. We would gladly recommend his services to anyone looking for a quality plumber." 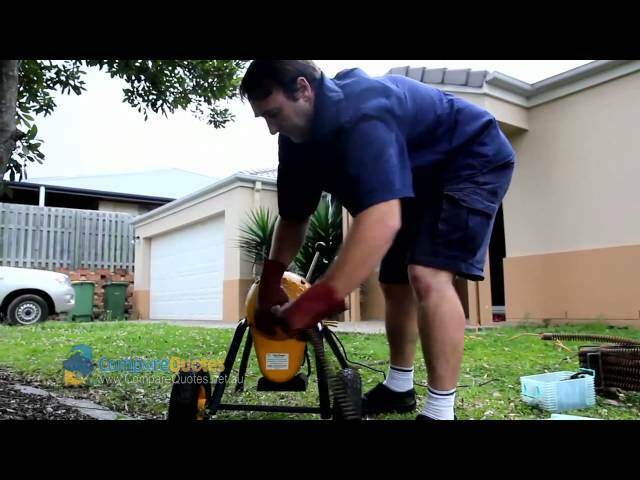 Plumber Gold Coast – Are you in need of a plumbing contractor for a remodelling project? Have you sprung a leak at home or in the office? MJ Walker Plumbing offers you the experienced professional technicians that can resolve all of your residential or commercial plumbing needs.